Lost up a mountain and your phone dies. Just arriving in a new city and all your accommodation details are on your phone. Problem is – it’s flatlined. You’ve “misplaced” your phone charger. Having our mobile devices suddenly give out can be a real problem in certain situations – especially if it’s an emergency of some sort. Even with the best laid plans, phones, tablets and laptops can still lose power at a vital moment – even if we were sure they’ve had a full boost. But friends! This is the 21st Century! Dead devices while in the field should be a thing of the past – and indeed they can be. 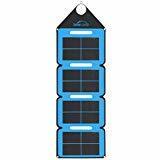 Solar power banks and portable chargers are a must for any serious traveler or outdoor enthusiast. Below, you’ll also find a handy buying guide to clue you in on what to look for in these potentially life saving gadgets. 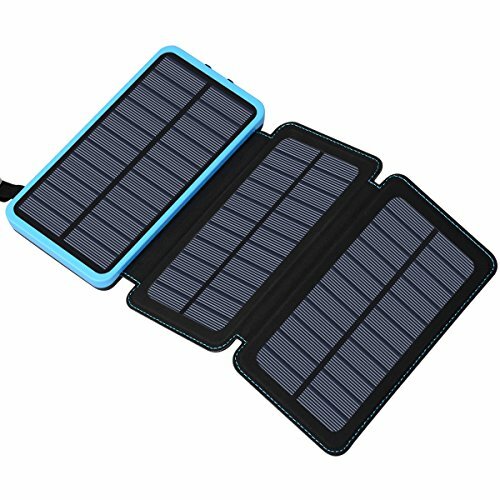 What is a Solar Power Bank/Portable Charger? Will it Fit My Phone/Tablet/Laptop/Electronic Massager? Do Solar Power Chargers Really Work? How Does a Solar Panel Convert Sunlight to Electricity? Can I Take it on an Aircraft? 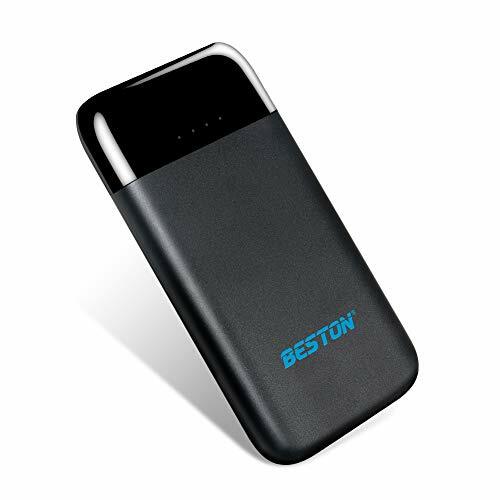 Review: Kicking us off is this Beston power bank portable charger. This really is the no-frills end of the market, but it’s got enough clout for most casual users, or to get you out of a jam if you need it. Fully charged, it’ll give you roughly 2 X charges for most flagship smartphones. Case might not withstand too much wear and tear. 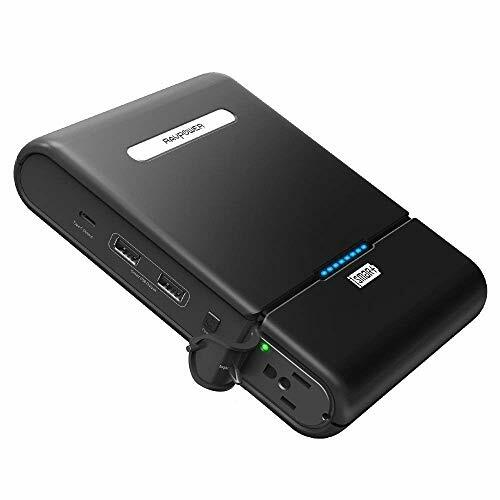 A great option if you need a budget power bank as a lightweight backup. Review: One of the best budget solar power banks, this Hobest model is water resistant, dustproof and shockproof. It offers 2-3 charges for mobile phones when fully powered, with the back-up of solar charging if you need it while on the go. Three lighting modes for emergencies. Available in a variety of color schemes. Solar charge might not be the strongest – don’t rely on it too much. Another great back-up, for the price you can’t go wrong, and perhaps one of the best portable solar chargers for hiking out there. Review: Offering 30,000mAh, this solar charger ups the ante for how many times it will charge your devices. They estimate it will boost a standard iPhone up to six times before giving out. It’s a perfect option if you’re going on longer camping trips, or you’ll be without mains access for a while. Water resistant, dustproof and shockproof. A little on the bulky side. Offering more charges, this number is a good choice for longer stretches in the great outdoors – but when you don’t want to break the bank. 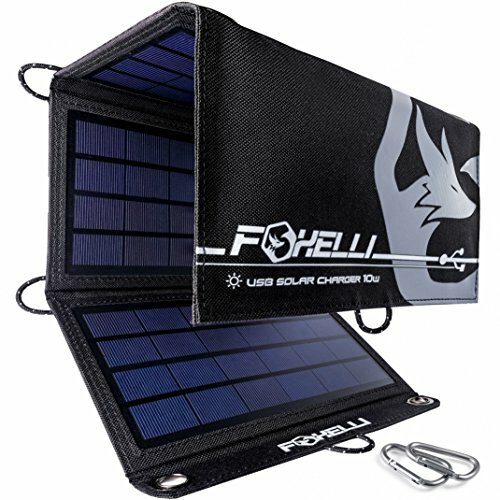 Review: The first of our foldable, tri-paneled solar chargers is this effort from Foxelli. They’re well known for their outdoor gear for hiking and camping, so it comes as no surprise that this is one of the best portable solar chargers for camping and backpacking on the market. Pocket to store your device while charging. Available in 10W and 21W. Solar charger only – you can’t pre-charge from a mains outlet. Less durable than a brick power bank. A sleek, stylish and super portable design, with the bonus of containing two carabiners to attach easily to your gear, with plenty of loops to choose from. For the best portable solar charger for backpacking, you could do a lot worse. Review: Incorporating both a rugged and stylish design – which is not often easy to do – is this Zonhood solar power bank. Geared towards outdoor pursuits, this is a great device at a reasonable price – especially if you’re going to be near water as it will take a heavy splashing with its IP65 rating. Solar charger not the strongest. 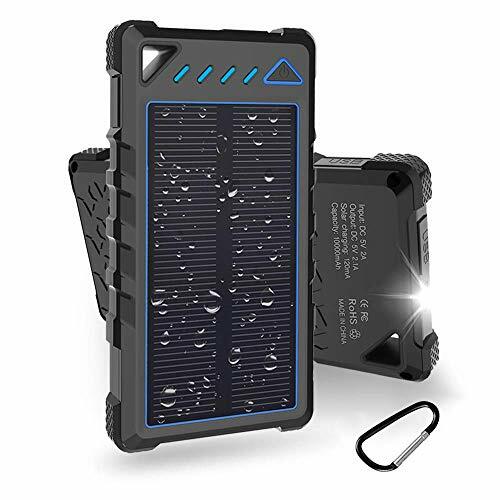 A solid option for the outdoors and one of the best solar power banks 2019. It looks pretty cool, too. Review: This 10,000 mAh solar power bank has the great addition of offering a wireless charging option. Simply place your phone on the back of the charger and, depending on your cell model, you should be getting between 1-3 charges out of this bank. Handy if you don’t want to fiddle around with cables (and your device is wireless enabled of course). Wireless is a real plus. Again, don’t rely on the solar charge – it’s only a back-up. Because of the design, wireless and solar charging won’t work simultaneously. A durable option that is one of the best portable solar power banks because of its wireless ability. Review: While not being a solar charger, this is a solid option with a whopping 50,000mAh and four USB charging ports. It’s a no-nonsense design that will keep your devices fully juiced up when you’re out and about. You’ll struggle to find this much mAh for the price. No good against the elements. The power this unit packs is seriously impressive for the money you’ll part with for it. A great alternative to a solar charger if you’re not venturing outdoors. Review: A company that specializes in solar power, FEELLE have been bringing this tech to the market since 2008. This is one of their most popular models, it’s a hybrid foldable/brick design that’s waterproof and durable. It claims to be able to charge most smartphones 10+ times. Available with three or fours panels. Only one belt hook/loop for attaching to your gear. Given that this is FEELLE’s arena, this is one of the best portable solar chargers for 2019. A really solid all-rounder. Review: Speaking of all-rounders, it doesn’t get much more all-rounder than this. 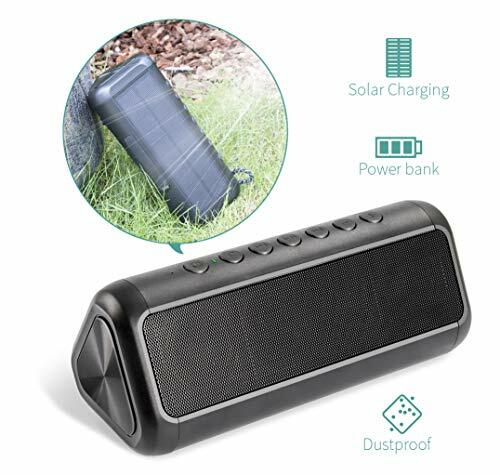 A solar powered bluetooth speaker with power bank incorporated. It just might be the solar charger you didn’t realize you needed until now. Good sound for the price. Not a specialist power bank/solar charger. Is it too gimmicky? We’ll let you decide. If you want a three-in-one device for your trip to the beach or park – then you’ve come to the right place. For the best solar chargers for backpacking, you might have to look elsewhere. Review: Another power bank with four USB ports, this effort from Bonai has the bonus of being a high capacity charger that incorporates the solar panel option. Bonai is a company that specializes in batteries and chargers, and this model could be the overall best solar charger power bank featured here. High capacity would suit most users. Not the most attractive device out there. For the balance between features, price and capacity, Bonai have created a quality piece of kit with this model. Review: Ravpower started making laptop and cell phone batteries, but quickly branched out into other, quality charging products. This foldable design is super powerful considering its size, packing some highly efficient solar technology in a durable package. Handy pocket for your charging device. Solar power only – no mains charging. Overall a quality product from a trusted name. Which can make all the difference when it comes to customer service. Review: Rugged outdoor specialists Outxe produce a variety of products that are meant to stand up to anything the elements can throw at them. 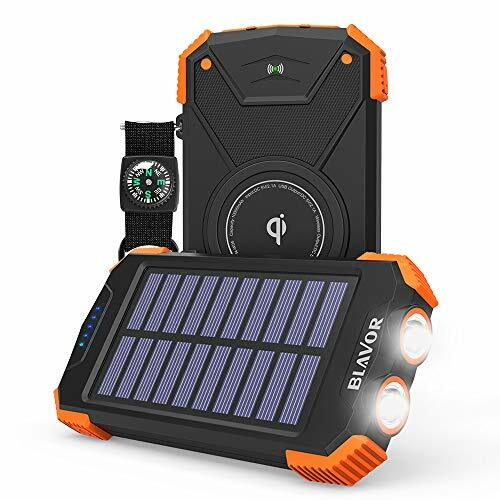 This solar power bank is about as tough and durable as they come – ideal if you’re getting up to more extreme adventures out-of-doors. Or if you’re just clumsy and you’ll drop it in a puddle. Super fast charging for compatible devices. 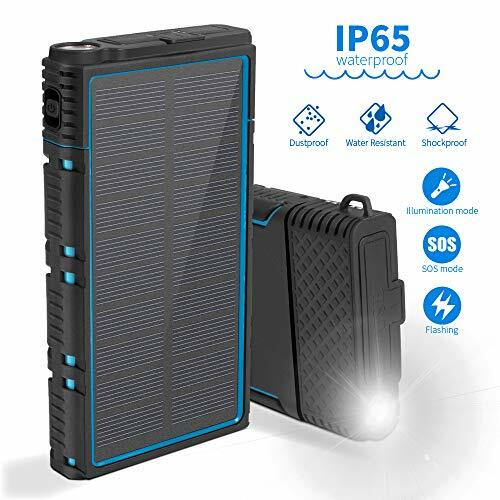 Probably the best waterproof solar power bank out there – if you’re an adventure sports enthusiast, this one could be for you. Review: Another company specializing in chargers, Big Blue have added a digital ammeter to this model, so you can actually see the strength of the charge as the sun does its work. 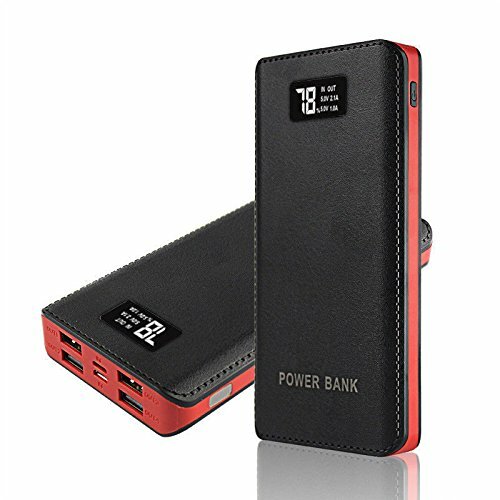 And with four panels boasting high energy conversion, this 28W device will easily keep you connected while on the go. A quality product from Big Blue with the great bonus of having a built-in ammeter. Review: With an emphasis on environmental protection, Wildtek develop products for the outdoor enthusiast, including this rather beautiful solar panel portable charger. It’s fully waterproof too, even down to the USB ports. Great for peace of mind on your kayaking adventure. Built-in stand – no need to worry about laying it on energy-sapping surfaces. Small percentage of the purchase goes to help the environment. It’s always nice to review solid products from environmentally friendly companies – and this offering from Wildtek is no exception. One of the best portable solar chargers for 2019.
Review: Hailing from Brooklyn, Voltaic Systems is a portable solar power company that has created a practical and funky design with this effort. 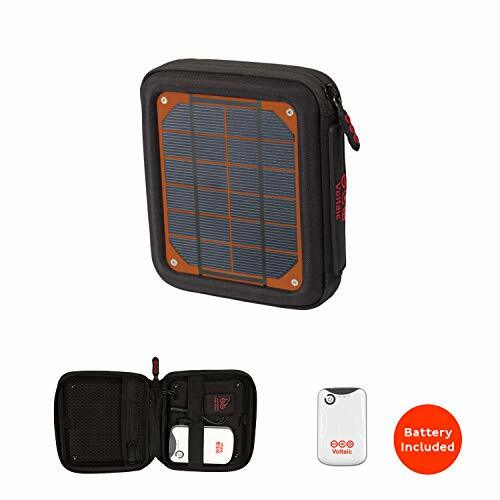 Double solar panels on the outside, while the product opens out to reveal handy internal storage complete with battery pack – similar to a small electronics organizer. Designed to charge everything from smartphones to DSLR batteries, this device is a winner for travelers. No built-in loops or attachment hooks. Battery pack susceptible to the elements if exposed. A brilliant, practical design that works really well as a backup charging device. Not as resistant to wear and tear as a single, contained unit, however. 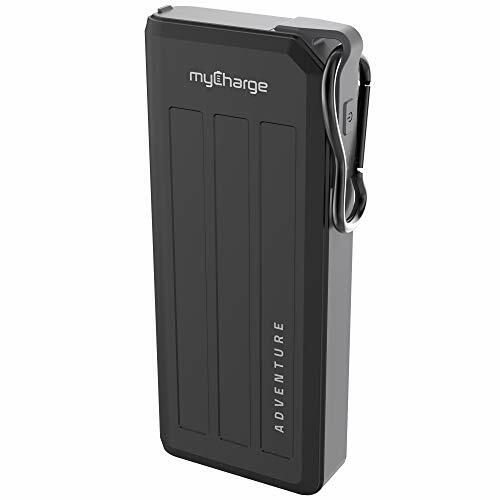 Review: Producing top quality portable chargers, myCharge have knocked it out the park with this model. A stylish, sleek design that packs a wallop in a portable and solid build. The built-in carabiner is very useful when you’re traveling off-grid, too. For a top quality charger that will last – this is a great choice. Review: A four-panel, water-resistant, flexible, dust and shockproof solar charger from a US based company specializing in solar powered tech. The panels are highly durable and can be positioned in a variety of ways to maximize access to sunlight. You should be able to fully charge your phone in just under two hours in bright conditions. Super flexible construction – won’t shatter like many panels can. If you’re looking for flexible solar panels that can take a bit more of pounding, you’ve come to the right place. Review: Another RAVPower entry sees this universal portable power bank that really packs a punch. This baby is for charging larger electrical items such as netbooks and laptops. It boasts 100W of output, so it’s more than capable of being a backup to a 65W portable computer. And if you’re just using it for a cell phone, then you shouldn’t worry about running out of juice at all. You can’t take it on an aircraft. A super powerful little unit that’s great for longer off-grid trips. Not being able to fly with it might be an issue for some though. Review: Anker produce high capacity portable chargers, but this solar panel product packs a serious punch when it comes to giving your devices a boost. 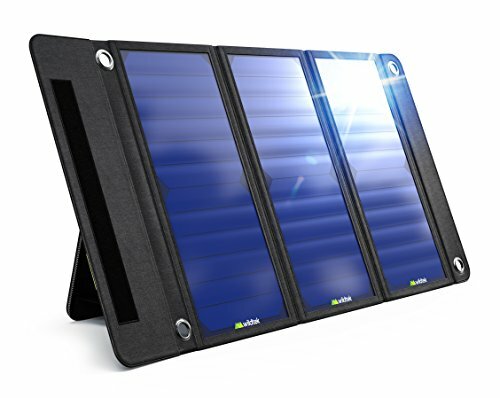 It’s one of the fastest, most efficient solar chargers available. But then – it had better be for the price. Steel eyelets for ease of carrying/hanging. 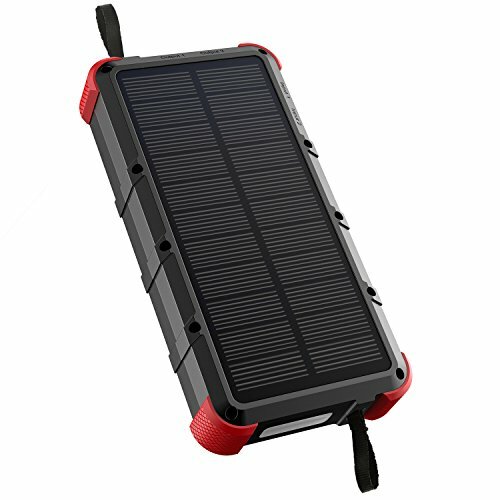 One of the industry leaders, this is one of the best solar chargers for backpacking around. If you can stomach paying the hefty price tag that is. Solar power banks and portable chargers can come with a lot of jargon that might seem a little confusing at first – especially if you’re not used to the market. Take a look at this handy guide which will hopefully explain the basics and give you a better idea of what to look out for when choosing the most suitable product for your needs. Forgive me for stating the obvious, but some people can get confused when it comes to the types of chargers available. A solar power bank will rely on the sun’s rays to convert its photons (light particles) into electricity. I won’t delve too much into the physics, suffice to say you need cloudless, clear skies for the best results. If it’s just the portable charger (power bank) then it will be a separate battery pack that you charge up and use to boost your devices when required. Then, you can also get a combination of the two. In short, you can either purchase solar chargers with an integrated battery – usually housed within a single unit. Solar panels by themselves, with USB charge ports – usually of a fold-out design. Ideally, you’ll need a battery pack to use in conjunction with these models, as charging your phone directly isn’t always advised and the panels themselves can’t store a charge. Or simply a power bank that has no solar capabilities, that you charge from a mains socket or in your car before going off grid. Of course, you can also use a combination of each to suit your purposes. Perhaps the most important requirement, is how much power a charger is going to provide. It’s going to be pretty useless to you if you purchase a device without the clout to do what is required of it. You’ll be looking at the Milliamps Hour (mAH) number of the battery – which is an indication of its strength. The higher the number, the longer the battery will last and how much charge you’ll, therefore, get out of it. The output of solar panels is rated in watts. Again, the higher the number, the more power it will produce. The downside to this, of course, is that the higher these numbers, the larger and more expensive the device is likely to be. In order to identify the capacity right for you, you need to understand what you’re going to be charging. In other words – the specifications of the batteries of your electrical devices. I could waffle on about this for a long time, but I found the video below to be clear, concise, mercifully short and particularly useful if you’re a total noob. Like anything that has the word “portable” attached to it, you would like to believe that it does indeed have the ability to be carried from A to B with ease. But as mentioned above, the most powerful portable solar chargers are likely to be on the more cumbersome side. The size and weight of the device will depend on its capacity. And with solar panels alone, the more surface area they have, the more efficient they will be in creating energy. Then it’s entirely up to you regarding what you want to carry or have the space to pack. Having said all that, most portable chargers aren’t going to take up that much room and many of the best carry-on backpacks will actually have a dedicated compartment for a power bank anyway. It’s not like you’re going to be lugging a car battery around on your back, is it? The very nature of solar powered products means that it’s nearly always going to be used outside. 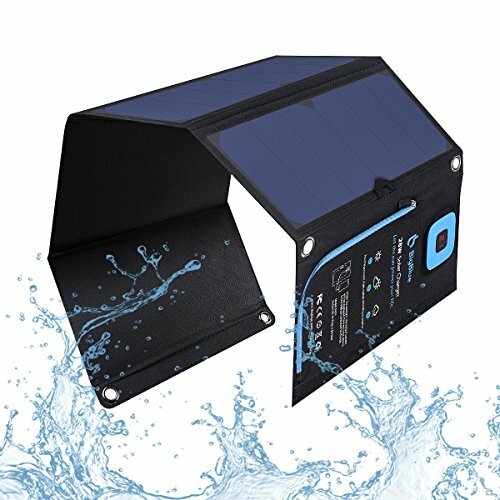 As a result, the best solar charger power banks will most likely be water resistant, dustproof and shockproof. Some of them may even be fully waterproof. Even if they claim to be so, I wouldn’t recommend submerging them to find out. But for the most part, a decent portable charger will be tough and durable to stand the trials and tribulations of being in the great outdoors – particularly useful if you’re keen on adventure sports, hiking, climbing and biking et al. You’ll find that power banks for mains or internal use aren’t quite so well protected, and it isn’t actively encouraged to have them anywhere near water at all. Slightly different from the size and weight category, this is how portable the unit actually is. Does it come with carabiners or eyelets to attach easily to your gear? Do you intend to have it charging in transit? How easily could it hang from a tent or a tree? Does it come with its own case or would it easily fit in one? 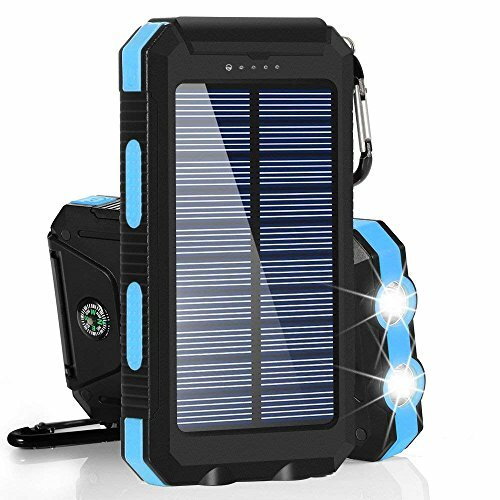 All questions you should ask before making a decision in finding the best portable solar charger for cell phones. Aside from doing the job the device was built for, many of these devices come with an array of other bells and whistles to attract your eye. Flashlights and emergency signals are included in most solar power battery banks – very useful if you get into difficulty, or for rooting around in your tent in the dark. 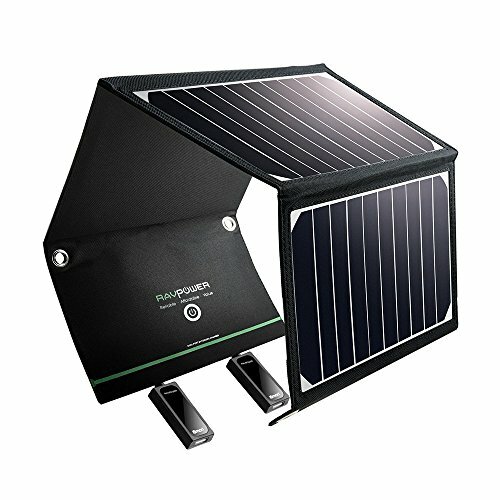 Foldable solar panels will often come with a dedicated device pocket to store your electronics while they’re on charge. And certain models will have more than one USB port so you can charge a number of devices at the same time. Keep a look out for what extra features you might feel could be useful. Some common questions people are likely to have before purchasing a solar power bank or portable charger. Without a doubt, the most frequent of frequently asked questions is will the charger actually work on my model of phone or other electrical devices? Certainly, for most cells and tablets, the answer is likely to be yes. Laptops and more powerful electronics require devices capable of producing a higher voltage, so bear that in mind. My best piece of advice? Check before you buy – both your device’s requirements and the power output of the charger you’re considering. The short answer is yes. However, a word of caution here – solar powered chargers are meant to be used as a backup option only. Ensure that battery banks are fully charged before you depart on your trip and don’t rely on solar panels – however strong or efficient they might claim to be. Of course, it should go without saying that if it’s chucking it down with rain you’re not going to enjoy mega solar power. Strong, uninterrupted sunlight is needed to maximize a charger’s ability. You never know when the weather will be unaccommodating. Again, I could write hundreds of eye-bleeding paragraphs about this, but it would be much easier to simply point you in the direction of the excellent video below. Now this is a very good question and not to be taken for granted. It all depends on the type and capacity of the battery. If it’s a Li-Ion battery, it must be carried in your hand luggage. The limit airlines permit you to carry is 100W per battery. This, however, can vary from airline to airline and should be confirmed beforehand. As a rule of thumb, most low watt batteries/solar power banks/solar panels are perfectly fine – but if you’re packing some serious power you might run into difficulty. As you might have guessed, there’s lots to think about when it comes to choosing solar power banks and portable chargers – and it can get quite complicated figuring out all the math. 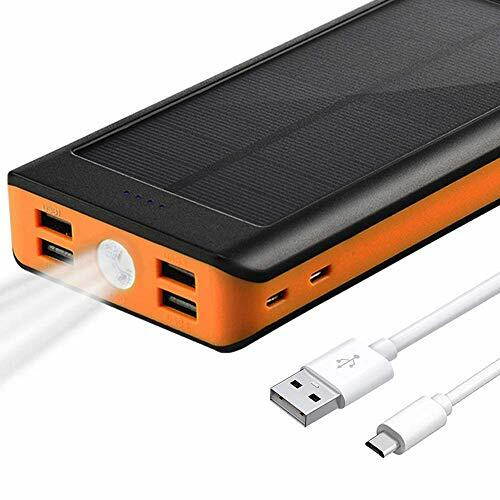 I hope this article has gone some way to assisting your choice and clearing up the most important points, and that you find the best solar power bank for you. Do let me know in the comments which model you’re considering and why – it’s always nice to hear some feedback.